At Hopkins Distribution Company, we come across many different western distribution challenges. One of the challenges we face is how to store and distribute perishable goods. When dealing with perishable goods, you need a 3pl company like Hopkins who will take extra packaging and transportation precautions. Distributors must be very careful about certain factors while distributing perishable products. These factors include remaining mindful of temperature, humidity and travel duration after which the product will reach at destination. Special packaging materials may need to be used when shipping products from one destination to another and your product may need to be stored in cooler temperatures to maintain quality and freshness. Hopkins will work with you to assess your individual needs and ensure your products reach their destination in perfect condition. 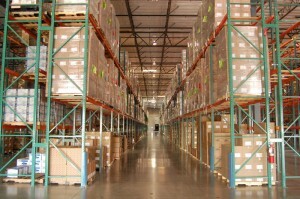 Our dry and mild Reno, Nevada climate provides us with very cool, dry conditions for summer storage of products. This allows us to store perishable items inexpensively which in turn allows us to offer our clients cost-effective prices to store and distribute their goods. If you have special needs and wish to distribute perishable items, Hopkins may be the western distribution company for you. Find out more about how our distribution services can accommodate your specific needs and contact us today.